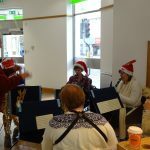 Once again an Ensemble played Carols & Festive Music to the customers & staff of the Black Horse Bank. 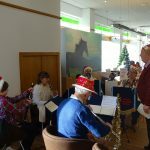 Musicians at the Black Horse Bank. 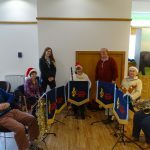 Making a Deposit of Carols from the musicians?